To be honest, when you first see the Kieffer triplets – Abby, Maddie and Evan – you would never guess that they are related, much less a trio. They don’t look alike, they all have their individual personalities, and contrary to what some people believe, they don’t have telepathy about what the other is going to say or think. But among the things the juniors do share is a love of running. 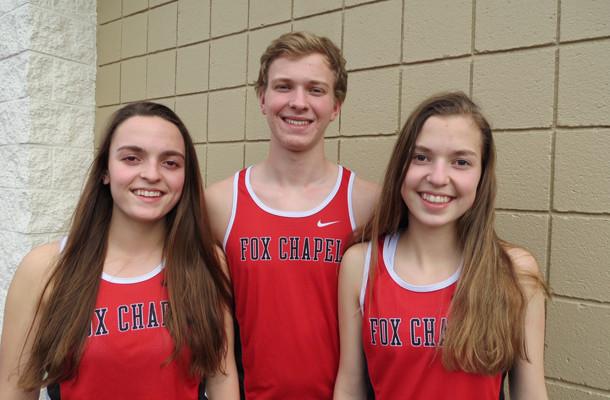 Born just a minute a part, all three are great athletes, members of the Foxes’ track team, run similar events, and can be very competitive with each other. One of those competitions involves Maddie and Abby, who will face each other in an on-track rivalry in the 400-meter race. Evan also will run the 400 for the boys, and all three athletes are part of their respective team’s 4 x 4 relay teams. In a way, their fondness for running was destiny. Both of their parents ran in high school, and while they encouraged their trio to play a lot of different sports when they were younger, they couldn’t be more pleased that running is a common denominator that unites the Kieffer household. When Abby was a freshman, the track coaches thought she’d be a great distance runner, but she really didn’t like it too much. Thinking maybe track wasn’t for her, during her sophomore year Abby focused on playing volleyball year-round, but Maddie kept trying to convince her to give indoor and spring track another shot. 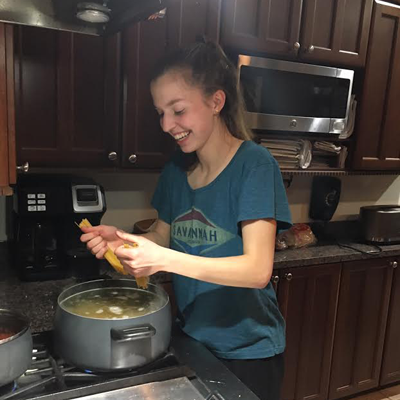 Even though Maddie is technically the “middle child” of the three, she is the one who her brother and sister say is the “mom” of the group and is the first to make sure they are OK, no matter what the situation. But at track meets, there’s not much time for Maddie to check in with her brother and sister. In addition to the individual 400 race, Maddie also runs the 200. She’s advanced to WPIALs the past two years in the 400 with a personal best time of 62.5. 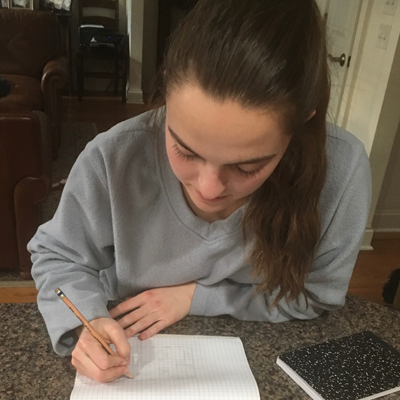 Maddie places a lot of pressure on herself to excel in both academics and athletics, but she often relaxes by taking out her sketchbook. Track is a natural fit for Evan, the youngest of the triplets. 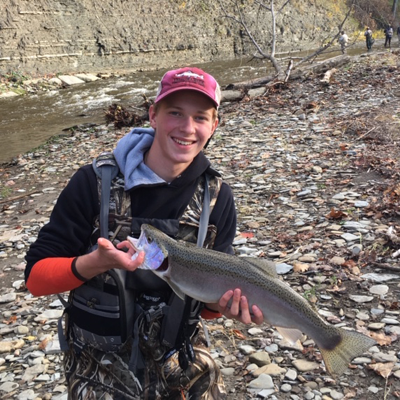 There’s almost nothing he’d rather do than hunt, fish, and be outdoors. Until a few years ago, however, he did not see running in his future. He was involved in soccer and basketball, but couldn’t envision himself continuing soccer in high school. That left him with only basketball, which he decided not to do after ninth grade. Last year, Evan made it to WPIALs as part of the 4 x 4 relay team and remains an integral part of it this year. Just recently, the 2019 4 x 4 team broke the indoor school record, and Evan thinks the foursome have a good chance to make it to WPIALs again. In his many years at the helm, Coach Moul has coached twins, but never triplets. This group is special, he says.